Kratom is becoming popular among many people even outside Southeast Asia, where it originates. Kratom is used for the improvement in energy levels by the interaction with the cell receptors to make the brain active, and it also has a function to release pressure, anxiety, and pain and give you relief from all types of stress. While using kratom for anxiety problems, you need to be careful as kratom has different strains which are used for different purposes and you must use the strain which is effective for anxiety only. If you use kratom which has the quality of providing you energy, using that might cause the anxiety to become worse. 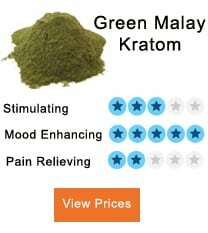 2 What is the Proper Dosage of Kratom for Anxiety? To get relief from anxiety, Borneo is one of the best strains available. It includes alkaloid levels which are high in 7-hydroxymitragynine and low in mitragynine. In the case of a higher level of alkaloids, quick and better recovery is possible while with the other one, there is some relief from the pain of anxiety. Borneo is considered to have the least amount of side effects, and a proper dose can provide many benefits to those suffering from anxiety problems. Indo is another strain for anxiety relief. It has less sedating power as compared to the Borneo strain, but it is almost similar in function and possesses the quality of providing relief from anxiety. Bali is less expensive than Borneo and Indo and is purchased more often than the other two, but this strain is popular also due to its effectiveness both as a sedative and anxiety remover. A drawback of the use of this strain is that it has side effects as well, for example, nausea and wobbles. These side effects are caused due to an overdose of Bali, so it is necessary to use it with care and never use it in excess. 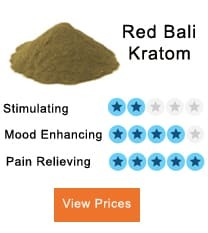 Red Vein Kratom is considered to be the most effective of all the strains discussed here and provides better results regarding anxiety and pain relief. 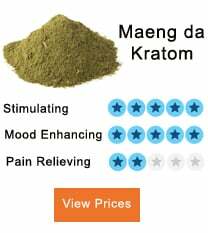 What is the Proper Dosage of Kratom for Anxiety? There is no specific dosage used as there is the number of strains with differing qualities, but most researchers recommend using around 4 grams of kratom to gain positive results. When selecting the correct strain it will be beneficial for you to avoid some strains, for example, Thai, Maeng Da, and White Vein Strains, as these are high doses and it would be more beneficial if you begin the process with low dose strains.